Optimizing the food dehydration process can be tricky, but it is helpful and necessary for areas with food shortages. 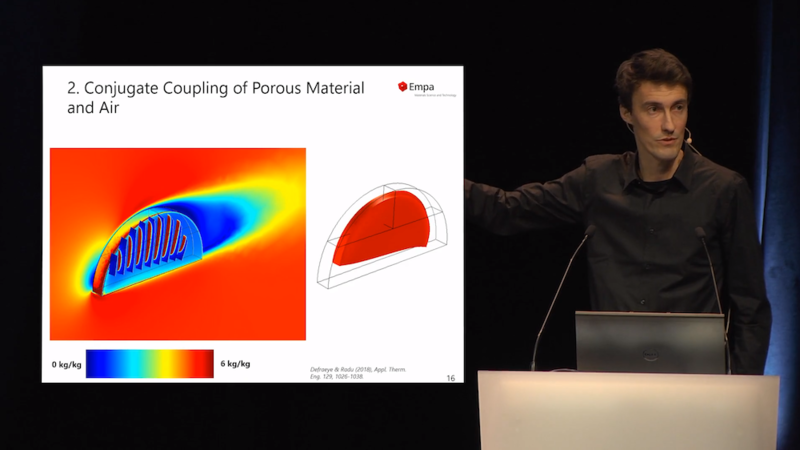 In his keynote presentation at the COMSOL Conference 2018 Lausanne, Thijs Defraeye of Empa discussed how his team uses multiscale modeling to understand the drying process for soft cellular foods. If you missed his talk, you can watch a video recording of the presentation and read a summary below. Dehydrating certain foods can allow them to be preserved and enjoyed far past their “use by” dates. During the dehydration process, water activity within the food is reduced, which slows the reaction rates within some properties of the cell (such as enzymes). This means the food can be stored and used in its off season. As Thijs Defraeye explains in his talk, there isn’t a drying method that can be used worldwide — yet. For example, solar drying (think sun-dried tomatoes) has its downsides. Sunlight and humidity can vary from place to place, and the sun takes a relatively long time to dry food to a “safe limit” where there’s no mold present. So, how can we find a more ideal way to dehydrate food and examine cellular collapse without wasting numerous baskets of apples? 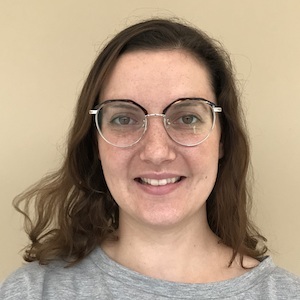 Defraeye and his team simulate the conjugate coupling of porous material and air to observe how food interacts with its environment and how different methods of cellular dehydration work, seeing what can’t be seen through experimentation alone. Defraeye and his team simulate dehydration on an individual cell of a fruit sample (segmented out via X-ray tomography). They then record the effects of the various drying processes on the cell to analyze the sample’s drying kinetics as well as the food sample’s overall quality post-dehydration. The properties from this microscale model of an individual cell could be scaled up to a macroscale model to show how similar processes affect larger samples of fruit. 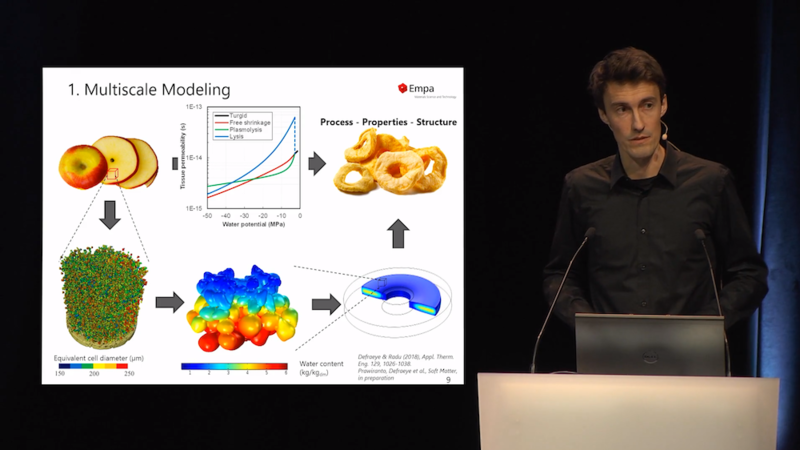 From the video: Thijs Defraeye of Empa discusses the multiscale modeling of dried fruit. The microscale model shows that during the dehydration process, the permeability of the cell membrane could change. In addition, it shows how a dry barrier could form around the cell, preventing further dehydration and cellular collapse. However, the question for Empa remained: How to optimize the drying process and, further, industrialize it? Because Defraeye and his team are researching a solution that will work worldwide, they need to find a dehydration process that is optimal for a variety of conditions. Food is affected by the air and environment around it, and its dehydration can be impacted by humidity, temperature, and sunlight. Defraeye discussed how his team uses the ASHRAE® climate database, which is built into the COMSOL Multiphysics® software, to simulate weather conditions of different geographic locations and see how the climates affect the drying process. The team developed a conjugate model with COMSOL Multiphysics that shows the conjugate coupling of a porous material and air. The model demonstrates how various dehydration processes occur, with specific air flow calculations that produce more accurate results for specific cases. Learn about how to model the transport of heat and moisture in a porous medium in this previous blog post. In an electrohydrodynamic dehydration system, air is ionized locally and the ions hit the neutral air molecules, which creates air flow without any moving parts, such as fan blades. This dehydrates the fruit, with the added benefit of a faster drying time without sacrificing quality. Also, electrohydrodynamic dehydration is a nonthermal option with decentralized air flow production and lower energy consumption (although this last aspect, as Defraeye points out, is contested). The Empa team uses COMSOL Multiphysics to see what arrangements of an electrohydrodynamic dehydration system’s emitter and collector could potentially dehydrate a mass amount of fruit. They found that a wire-to-mesh method could be used to dry a larger quantity of fruit uniformly and increased the drying rate by a factor of two without a decrease in product quality. Want to learn more about multiscale modeling of porous materials? Check out the video at the top of this post. ASHRAE is a registered trademark of American Society of Heating, Refrigerating and Air-Conditioning Engineers, Inc.